Are you planning to take your love for scuba diving a level up? It all starts with getting your own kit because it gives you the comfort of diving when you want? To start with, scuba diving regulators are an integral part of the kit. It is an important tool as it regulates the pressure and delivers the pressurized breathing gas to diver by reducing it to ambient pressure. It is the main connecting link for the scuba equipment and diving without this is not possible. There is just one minor problem while contemplating on the idea of purchasing one. It is a daunting task to find a good product out of the lot. Here, we have created a list of best scuba diving regulators after personally testing each of it individually. I hope, this guide definitely helps you make a better purchase. 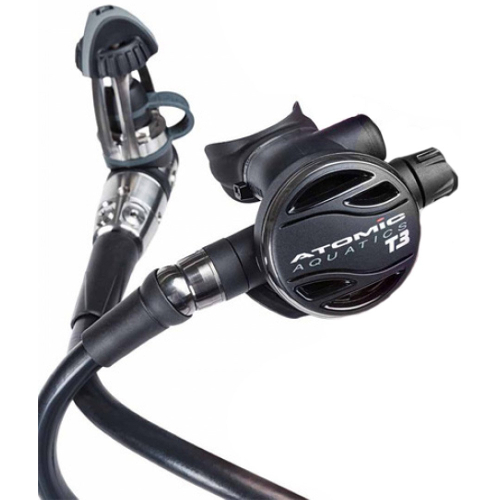 The Atomic T3 Titanium is undoubtedly one of the finest scuba regulators owing to its durable construction. It is ultra-light and made of titanium. The regulator is apt for use in both cold and warm water conditions and is ideal for all sort of depth. It regulator is equipped with a perfect seal system which imparts it its anti-freezing property. It is compact which makes it a potent traveling companion. It is a classic choice for high-end divers with original Atomic AFC (automatic flow control). It is reliable and resistance to corrosion. It is freeze protected, equipped with reliable seat system and the regulator can be used for around 3 years or 300 dives. The first stage is a balanced flow through piston mechanism with use of Atomics Jet Seat high flow piston. This ensures that diving is done efficiently at all depths. The first stage is freeze protected with factory sealed the first stage that prevents entering of contamination inside the mechanism. It includes 5 number of low-pressure ports along with 2 high-pressure ports. They are on swivel turret that makes hose routing easy. The construction is precisely made from solid bar Titanium making it light weighted and resistant to corrosion. It is 40% Nitrox compatible and hence is approved for non-dedicated EAN. This stage is a balanced linear flow strategy which makes breathing easy in all types of dive condition. The high flow design for the second stage lowers the breathing effort. The second stage is pneumatically balanced poppet with patented atomic seat saving orifice that significantly reduces any damage on the seat. It has Atomic Patented AFC (Automatic Flow Control) which controls the air flow efficiently and the Venturi effect ensures the provision of optimum all depths breathing resistance. The comfortable mouthpiece comes with dual silicone cover making it resistant to tear. It has a soft adjustable knob that is over-molded and soft to take of situations when the user experience pulling effect. It has patented comfort Swivel that ensures 30° movements without any hassle. It includes a metal accented ring as the front cover. The entire front can be used for purging as the second stage is covered with dual material. It is an ideal regulator which is tried and tested for diving at all depths. It is commonly used for both cold and warm water and can be used in extreme depths. It is an advanced technology bound regulator as it is equipped with a swivel seal. It is adjustable, Nitrox compatible, convenient and allows convenient breathing making it an ideal purchase. It is an outstanding and reliable scuba regulator apt for recreational or technical divers. It is adapted to be used in cold water and is a high-quality diving regulator that is resistant to extreme conditions. It is high performing and provides superior airflow system which supports better performance in all temperature conditions. It has flagship MK25 EVO first stage of SCUBAPRO integrated with air balanced G260 second stage which enables on to take dive even in rigorous conditions. There is the instant delivery of air along with extra high airflow which is made possible with help of SCUBAPRO’S patented system called Extended Thermal Insulating System (XTIS). The freezing resistance is imparted by isolating the first stage elements. The regulator is constructed to provide effortless performance. It is a piston based mechanism that allows air balanced flow and the first stage boast of the chrome plated brass body. This ensures that there is uninterrupted airflow in all depth and the inner elements are protected. The XTIS (Extended Thermal Insulating System) is a patented technology that isolates mechanical elements and keeps it from freezing. The cold water performance is increased with the combination of new spring insulating coating, anti-freeze cap, cap thread and use of body insulating bushing. The first stage is developed with anti-freeze protection feature and ensures better breathing even in extreme diving conditions. There are 5 low-pressure ports with high flow and two high-pressure ports that can be positioned either up or down. The configuration available is around 3364 psi with airflow of 2900psi/200bar and performance can be fine-tuned with external intermediate adjustment of pressure. The G260 second stage with nylon fiberglass construction ensures prominent breathing sensitivity despite the water depth. The resistance of freezing while diving in extreme conditions is aided by metal air barrel along with inlet tube made of the metal valve. The valve used provides sufficient air balance which minimizes inhalation effort on diving at varying depths. The exhalation can be reduced with help of high flow exhaust. The second stage includes an inhalation knob which can be adjusted accordingly to deliver appropriate air amount. It has Venturi Initiated Vacuum Assist (VIVA) switch for pre-dive/dive that restricts free flows in cold water. Easily adjustable diving configurations with reversible hose attachments and includes orthodontic mouthpiece that reduces jaw fatigue. It is one of a kind piston based regulator designed with high-end titanium components. It is an excellent choice for technicians or recreational divers for its ability to resist freezing. It is designed to function efficiently in cold water. It offers superior sensitivity to inhalation and ensures there is uninterrupted air delivery at all depth and temperature range. 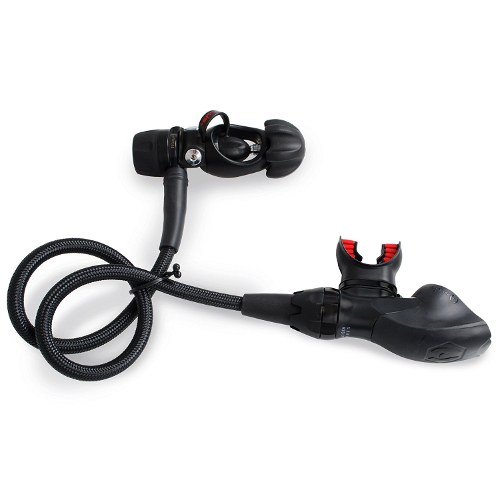 The is ideal for diving configurations with interchangeable left and right hose attachment. It is a truly unique and well-constructed regulator which is protected with Physical Vapor Deposition (PVD) finish. The PVD ensures that the regulator is tough. It is a fully balanced regulator which can be used in extreme weather conditions and is designed for cold water use. It is constructed in a way that you don’t have to exhaust self while inhaling during the process of diving. It comes with a Diver Changeable Exhaust System that enables the diver to change the system from small exhaust to large exhaust. The interchangeable exhaust is a prominent feature of the regulator. The wider exhaust is great for underwater photography as it gives minimal bubble interference while narrow exhaust helps in compact regulation. The first phase uses an over-balanced diaphragm that ensures efficient performance. It provides constant airflow at any depth as well as cylinder pressure. It consists of for low pressure and high-pressure ports in two numbers that are placed and configured in easy and efficient hose routing positions. The internal elements are protected by a dry environmental seal which prevents the formation of ice crystal within the main spring. This protects the regulator from corrosion and damage from chemicals, sand, salt etc. It is compact, one body construction that comes with removable ARCAP seating for the valve. The second stage is pneumatically balanced which ensure smooth and efficient breathing. It consists of XTX purge buttons which are easy to operate has an inlet heat exchanger along with valve made of metal to ensure proper cold dissipation. A lower flow rate is ensured by pressing the purge on the side. It has Venturi control provided by a lever placed on the side which controls the flow of the air. There is an external control knob present which can be used for adjusting the inhalation resistance. It helps in opening the valve. The second stage is protected against infection as it has an additive that kills MRSA, provides protection against microorganisms like fungi, virus, bacteria, mold, yeast etc. The Orthodontic mouth-piece is designed in a way that it can reduce jaw fatigue. It has a patented heat exchanger surrounding valve mechanism which releases out cold and draws in the warmth of the water. It is a professional and very high performing regulator that all falls within decent budget. Its ability to resist cold water and use even in extreme weather conditions makes it unique and exceptional. The first and second stage is joined with help of black low-pressure hose. This is overall a very sturdy and strong set-up with a significant boost in overall performance. 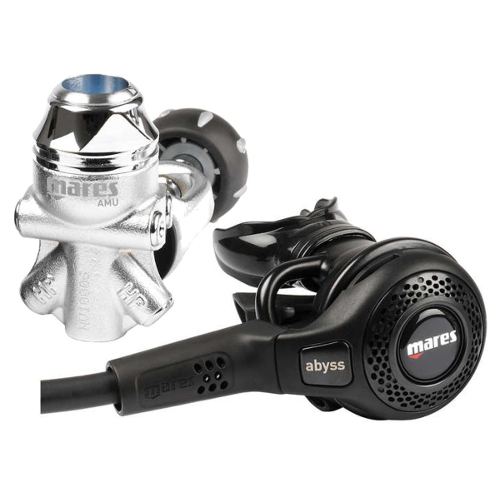 The Mares Abyss 52X is an intermediate level regulator which is compact, lightweight and high performing. The combination of two grades of polyurethane on inner brass ensures that the inner elements are protected. It uses the Tri-material valve technology which is patented and ensures more reliable & safer performance. It is an all metal regulator which makes it excellent to be used even in extreme conditions. It is compact and there is the presence of super flex hose that supports maximum breathing. It is an ideal regulator for cold water. It has high thermal conductivity as the first stage is covered in all metal till the cover of the second stage. It is constructed in a way to eliminate free flow and is a great regulator in all types of environment. The first stage is a balanced diaphragm which ensures uninterrupted passage of air no matter what the water depth is. It is equipped with Advanced Coating Technology (ACT) which provides better durability and minimize the pressure drop during inhalation. There is a stable flow of air through the second stage without any manual adjustment. The first stage has 4 low pressure and 2 number of high-pressure ports that ensure comfortable inhalation. It is attached to pressure gauge. The regulator configuration is made more flexible with the help of dual DFC (Dynamic Flow Control). It has patented NCC (Natural Convection Channel) body of the first stage enable better heat supply to interior elements. The second stage has VAD (Vortex Assisted Design) which creates a swirling vortex while delivering air through the mouthpiece. It keeps the diaphragm down while inhalation making it apt for all depths. The all metal front cover of the second stage makes it easy to breathe in cold water. It also reduces the feeling of dry mouth. The nickel and chrome plated brass make it strong and sturdy. It includes a mesh grid which eliminates free flow water impact even during strong current. It has a super flexible hose that makes the process of diving underwater and breathing very convenient. It is a balanced intermediate regulator which is designed strongly and is favorable for use in many conditions. It is apt for use in cold water with dynamic flow control features. It is Nitrox compatible and comes with yoke & DIN fittings. It is made from metal technology and is excellent for recreational as well as professional divers. It is ideal for use in extreme conditions that make it a versatile choice. The Mares Abyss 22 Navy II is designed and approved to the standards of US Navy. With great specifications, it is an authorized Scuba Gear for use by Navy. It is robust and strong with the ability to withstand extreme temperature. It guarantees outstanding performance and is able to stand toughest conditions. It is integrated with CWD technology which prevents entering from spring cavity and keeps the internal elements safe from water. It has Tri-Material Valve patented technology which ensures better performance and high-end safety. The Dynamic flow control system reduces immediate pressure drop during inhalation that makes the inflow of air constant. The free flow is minimized by use of the patented mesh design. The first stage is a balanced diaphragm made of chrome plated marine brass which ensures high performance and constant airflow at any depth. It does not allow the surrounding water to enter the inner mechanism by transmitting the pressure change to internal mechanism. The internal parts are environmentally seals which protect it from contaminants like salt, sand, chlorine etc. It resists corrosion and mineral deposit that might damage the regulator. The CWD kit keeps the cold water from entering spring cavity and thus does not allow the regulator air flow to be affected by cold water. It is equipped with Dynamic Flow Control (DFC) port which minimizes intermediate pressure drop while inhaling. This ensures a stable flow of air even under tough conditions. The second stage has patented Tri-Material Valve Technology which helps in optimizing performance and is highly reliable. The valve is covered with hard Polyurethane (PU). The second stage is made durable with a combination of brass, soft PU and heavy duty PU (Tri-material). The second stage is all metal construction which keeps it from freezing due to high thermal conductivity. The thermal conductivity reduces the feeling of dry mouth during the dive. The marine grade brass second stage is coated with special fluoropolymer resin finish which prevents the formation of ice crystals under extremely cold conditions. The patented mesh design minimizes water flow impact which in turn removes the free flow of water even in strong currents. It consists of patented VAD (Vortex Assisted Design) system which creates a swirling vortex with the air conveyed to the mouthpiece. It keeps diaphragm down during inhalation. The regular is an authorized Scuba gear for the US Navy which relentlessly speaks of its performance. It has passed all the qualifications and standards on being tested by U.S Navy Experimental Diving Unit that makes it ideal for use in cold conditions. It is designed for high-end performance and can be used in extreme temperatures. It is perfect to be used for professional and recreational environments. It is tested by U.S Navy Experimental Diving Unit and approved for use in extreme weather conditions. CDW kit ensures its use in extreme conditions of water. It ensures easy breathability in cold water. A consistent flow of air through the second stage. Includes 2 ports for high pressure and 4 for the low pressure that does not interrupt air motion. It does not include a pre-dive switch. There might be little interference from the free flow of water if not controlled properly. The Hollis 500SE DC7 is slightly advanced and classy set-up which is built using sturdy and durable construction material. It has a universal mounting system that allows an individual to use any suitable configuration for the system. It is pneumatically balanced and has servo-valve which helps in precise regulation of the airflow. The over-balanced first stage diaphragm has environmentally sealed internal elements which prevent corrosion. It also protects the regulator from contaminants of water which might decrease the overall performance. The advanced technology makes the regulator stand out. A small sip of inhalation opens the servo valve and vacuum is created due to air flow from servo valve which opens the main valve diaphragm. The opening of the latter allows air to flow through the regulator into the mouthpiece. It includes a side exhaust configuration making the regulator perfect for air and trimix divers. The over-balanced first stage diaphragm helps in providing greater pressure with a gradual increase in the gas density and depth of water. This helps in efficient overall air delivery to the second stage. The internal elements are environmentally sealed which prevents it from corrosion and protects it from abrasion from water contaminants like chlorine, salt, sand etc. There is a second diaphragm in the first stage which seals off the main spring cavity isolating the internal components. It consists of a fixed hose routing which is perfect for side and back mounting configurations. It is durable and toughly designed which is able to withstand the CE standards required for performance in cold water. It is around 40% Nitrox compatible and has 2 high pressure and 4 ports for low pressure for smooth flow of air. The second stage consists of a servo-valve system which is pneumatically balanced and consists of large soft purge cover which ensures easy passage of air. The Orthodontic mouthpiece is patented providing the user utmost comfort and considerably reduces jaw fatigue. It includes a standard 30″ MAXFLEX Hose which is flexible and lightweight. Owing to its flexibility, it reduces jaw fatigue. It can be easily disassembled and it does not require many tools for the same, can be done even underwater. It can be configured either for the left or right type of configuration but cannot be used upside down. There is also a bolt snap tie point included with the regulator. It is compatible to be used in even most extreme conditions with a strong and sturdy body complemented with high-end performance. It is an excellent regulator that is designed to support cold water performance. Since the internal elements are sealed, the regulator requires less maintenance comparatively. It is a great mid-budget scuba diving regulator which is great for ice diving as well as can be used for diving in sedimentation filled water. It is a great option for recreational divers with the option of diving in any kind of area. It is certified and designed with CE standards for cold water performance. Use of any type of configuration aided by its universal mounting system. Side Exhaust construction makes it an excellent choice for underwater photographers as it eliminates bubbles on the face. Flexible and braided hose reduces jaw fatigue. It has 2 years of limited warranty. It is mostly suitable only for experienced divers; amateurs might take the time to grasp. Downstream diaphragm makes the regulator more prone to free flow. It has no switch for pre-dive and has a large purge button. The all-new Ocean Delta 5 EDX is equipped with the latest technology which is known for its reliable and smooth breathing performance. The construction of the regulator is extremely durable and is a patented technology. The Dynamic adjustment technology of the regulator is patented and ensures the proper airflow at any depth. The orthodontic mouthpiece is comfortable and the regular is loaded with pre-dive as well as post-dive controls. The smooth breathing performance is maintained in the regulator with the presence of a pneumatic valve in all metal. There is a mechanical purge button which ensures consistent pressure of air flow. The regular is Nitrox compatible. The first stage is cold forged with an over balanced diaphragm that is integrated with 4 low pressure and 2 high-pressure ports. This makes the first stage cold water ready and to improve the performance, there is a heat exchanger placed on hose connection to 2nd stage. It comes with a balanced diaphragm where the first stage regulator is environmentally sealed. The impermeable diaphragm membrane transmits the pressure created by the entry of water through main spring cavity to internal elements. The first stage diaphragm consists of 4 low pressure and 2 high-pressure ports for constant flow of air. The internal valves are resistant to corrosion and not exposed to contaminants like salt, chlorine, pool acids etc. as it is covered and protected by environmental seals. It is approximately 40% Nitrox compatible out of the box. The second stages consist of a pneumatic balanced all-metal valve which maintains consistent inhalation at all the water depth. 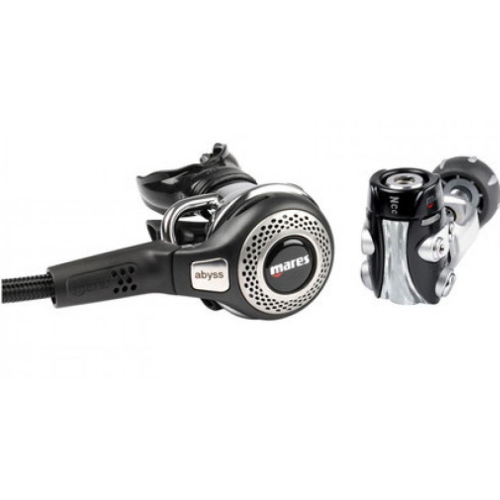 It is equipped with patented Dynamic Airflow Adjustment Control which finely controls airflow through the regulator. It has features like pre-dive or dive switch. There is a heat exchanger connected to the second stage to maintain cold water performance. The orthodontic mouthpiece ensures complete comfort and proper mouth fit to the user. There is a standard MiFlex braided hose with the package which is highly durable. 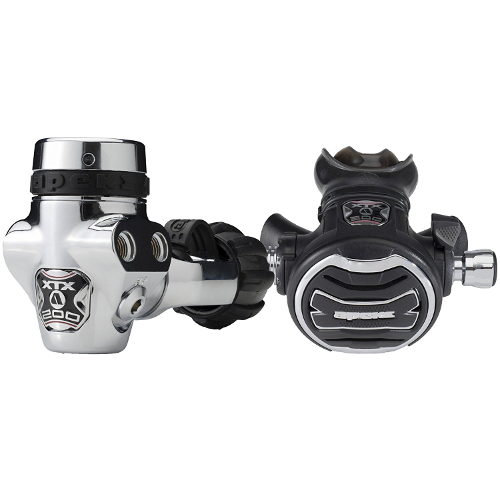 The regulator also comes with an optional swivel adaptor. 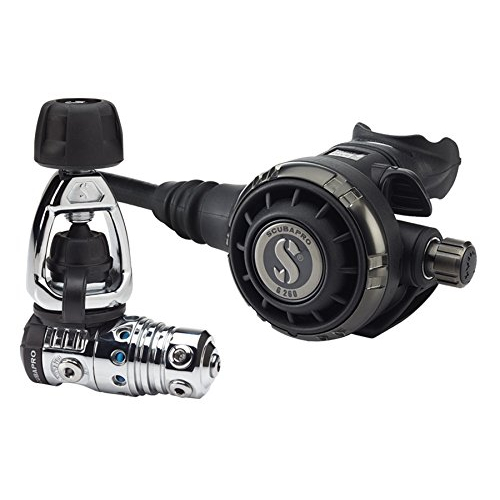 It is a fully equipped and user-friendly scuba regulator with its patented Dynamic Adjustment Technology as its one of the standout features. It is reliable, durable and standard construction with ergonomic features. It is designed for be resistance to corrosion and contaminants with internal parts sealed making it a product of long run. It is a mid-budget, finely designed and feature-rich regulator that can be used even in cold water with the presence of heat exchange. It is worth the price paid for the purchase. Ergonomically designed with airflow adjustment and cold water ready regulator. Free Parts Available for the regulator for life. Optional universal swivel adaptor included in the package. Installation of the same is easy and a torque wrench is adjustable. Slightly heavy as compared to other scuba diving similar range regulators. The controls are efficient but might get confusing for a beginner. It is an excellent choice for regular divers owing to its compact and reduced size. It makes a portable travel companion with outstanding 1st and 2nd phase parts. It is compact in size that makes it accommodate even in very small space inside the bag. The balanced diaphragm technology of the 1st phase makes it a great performer with constant delivery of airflow. It is a classic creation and optimum choice for beginners as well as regular divers that are available at affordable price. The best part about the regulator is the airflow is adjustable by the diver and can be customized according to one’s pattern of breathing. It has a diaphragm technology that is air balanced which delivers uninterrupted airflow irrespective of the tank pressure, water depth and rate of breathing. There is adequate hose routing with the presence of two each of high pressure, low pressure and high-flow ports. It is found that 15% of air passes through the low-pressure ports. The 1st stage body is made of marine grass brass with the internal parts sealed from elements which pollutants and water from destroying the inside mechanism. This also ensures better performance in cold water. The airflow ranges within 2900psi/200bar and reliable ScubaPro technology makes it an excellent regulator. It has many user-friendly control features including knob to adjust the diver inhalation along with Venturi-Initiated Vacuum Assist (VIVA) system. The airflow is maximized no matter what the diving conditions are with optimal flow design aided by the presence of poppet valve and special barrel. There is an inhalation control knob to adjust the breathing and front cover has a stainless steel frame. The presence of an oversized bore within the superflow hose ensures passage of increased air content with each inhalation. Comfortable orthodontic mouthpiece does not inhibit passage of air with airflow at 2900psi/200 bars. It is a well-balanced and optimally designed scuba diving regulator. The first stage with sealed diaphragm makes it a perfect gear to be used in cold water. The second stage with power pact downstream valve ensures better breathability to the user. It is equipped with complete user control features which are convenient, comfortable and user-friendly. It is a perfect mid-range scuba diving regulator for regular divers. The design and model are well balanced with great adjustable features. The mouthpiece is ergonomic to add comfort to the user. Ergonomic design, compact and lightweight allowing it to be equipped with small space. Great level of adjustability with diver air control features along with adjustability in inhalation. Reliable middle range regulator designed for use in colder water. It is approved for use in cold water making it a great positive aspect. It might breathe wet on prolonged use underwater as mentioned by many users. At times, adjusting the mouthpiece becomes difficult owing to its size variation. The diving regulator from Calypso range stands out to be robust, company and light-weight perfectly apt for entry-level scuba divers. It continues to be one of the best-selling products since the first launch, available at an affordable pricing. It is the fifth generation of Calypso regulator and continues to grab attention owing to its simple design. Although it does not fall in the expensive range but manage to impress with its intricate features. It is one of its kind for beginners, a purchase completely worth the price. It is a compact design making the maintenance and cleanliness part easier. It is an excellent option in budget suitable for tropical divers. The use of the regulator is mostly recommended in warm waters. The 1st stage of the scuba diving regulator is integrated with high-flow piston technology owing to its high performance. The piston diameter is large with large holes placed in the end caps that enable generation of medium pressure. This ensures freezing resistance and proper thermal exchange. The maximum working pressure in the yoke version is around 232 Bar. The yoke version includes the second filter that protects from polluted air. It is equipped with open yoke screw that avoids retention of water. The yoke inlet is resistant to shocks with the presence of dust cap along the body. The flow rate is around 1300 l/min. The body is made of marine brass along with chrome plating. The jaw fatigue while diving is considerably reduced with the combination of Comfobite mouthpiece which has patented mouth bridge roof. The mouthpiece can be easily changed with help of removable clips. It runs on the mechanism of demand value and downstream poppet. The adjustment in the regulator is made easy with help of in-line Venturi knob. The regulator is protected from shock and wear-tear abrasion with help of polyurethane purge cover. The second stage is made stronger with help of polycarbonate construction. The mouthpiece, diaphragm and the exhaust valve gets a premier construction made from silicone. The valve is protected and the overall noise is reduced with help of deflector. 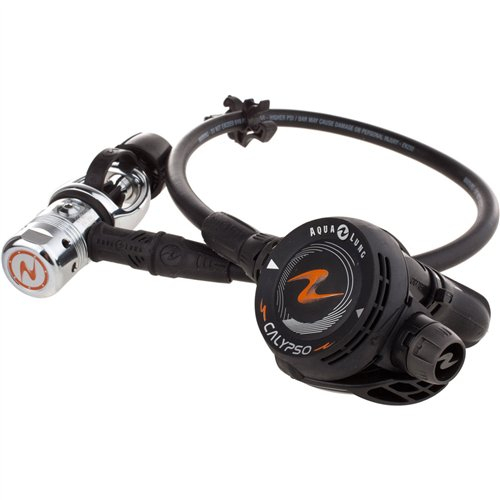 This is a great buy and majorly a good option as an entry level scuba diving regulator. It is a low-cost investment but an effective one to hone the skills. The configuration from right to left hand and vice versa can be reversed with help of any authorized technical making it even more suitable. The two stages are integrally developed to bring together better performance, reliability and together it can be maintained easily. It is an incredibly low-cost entry-level regulator, suitable for any depth. It is equipped with piston based technology that provides selectively excellent performance. The use of the regulator is easy and it can be cleaned and maintained efficiently without hassle. It is not suitable for the advanced level of scuba diving which means an upgrade is necessary for professionals. There is a chance of free flowing of the regular at deeper level after a couple of dive making it difficult for the users. Although it has freezing resistant properties it is mostly recommended to be used with only warm water. It is tricky equipment but the most important part of scuba diving. The role of the regulator is to adjust the compressed air from tank to a level suitable for breathing. On inhaling it supplies our air and on exhaling it expels out the air. The first stage is connected to the tank which is responsible for reducing air pressure and the second phase is the nozzle connected to the first phase, the nozzle using which we breathe. The intermediate air pressure is further reduced by the second phase making it to a level suitable for breathing. Purchasing the right kind of regulator is undoubtedly a daunting task but it is important to know what are the features you must look for. 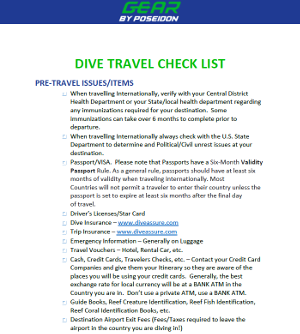 If you are planning to gear your scuba equipment, do look for the features in scuba regulators before making the purchase. Here is the complete buying guide to buying the right gear. 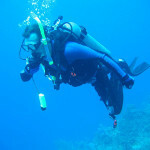 It is one of the most important things to consider while purchasing a scuba regulator. The regulator used for warmer and colder water is different. A regular regulator can be used for warmer water but when it comes to colder water, the regulator must be cold temperature resistant. If you want to purchase diving regulator for cold water, make sure that it has environmentally sealed the first stage which prevents the formation of ice crystals. Depending on the temperature, you can purchase either sealed or unsealed regulator. The former is used for colder water whereas the latter is used for regular, warm water. It depends on the depth of water you want to scuba dive. 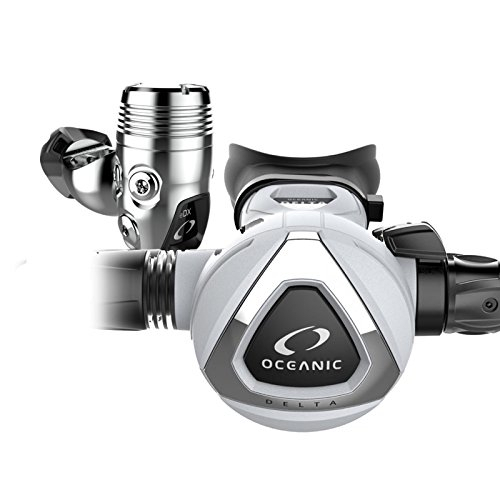 A balanced scuba regulator ensures constant airflow no matter what the depth is. When it comes to unbalanced one, it reduces the air flow when the air supply is low or you are diving into deeper levels making it difficult to breathe. A balanced regulator is apt for deep levels of diving whereas the unbalanced regulator is more appropriate for the shallow level of diving. The first stage mechanism comes in either diaphragm or piston and it all depends on what kind of performance you are looking for. The piston design is made of few moving parts that ensure high performance with its simple design. Whereas, the diaphragm comes with heavy spring and it helps in operating the valve present between two chambers. Both of the design is good but if you need slightly better cold reliability, it is better to go for diaphragm one. The regulator has ports which are very important for its construction. The ports allow the regulator to be attached to the tank. If you are planning to purchase something simple, go for the one that has at least two high pressure and 4 high-pressure ports. If you want to upgrade and go with something that is fancy or want to use a dive computer along, 2 or more high-pressure points will be required. Mostly the gear is available with 4 low pressure and 2 high-pressure ports. The choice of the valve is also important. There is either DIN or Yoke type of valve which fit the tank in a different way. The DIN valve is screwed to the regulator directly making the seal even stronger and this kind of valve choice is more common amongst cold divers. With the help of the Yoke valve, the diving regulator is screwed over the tank and is an easier way of connecting the valve to the regulator. On making a comparison, the DIN valve is more durable for cold water dives, strong and less commonly used. The Yoke Valve is more common since it is simpler. At no point, the gear must be uncomfortable for use. It is very important that the regulator is comfortable for the user so that one can completely enjoy the diving process. The mouthpiece must be comfortable so that it reduces jaw fatigue. The size of the hose appropriate and should not be too long or short. If you are not comfortable with bubbles coming all over your face, buy one with side exhaust. Make sure that the regulator is not very heavy or else it might be difficult to use it. If the hose is too short, it would restrict your breathing process making things difficult underwater. These are some things which are extremely important to consider while purchasing the regulator. It is an important gear and at no point, your level of comfort must be compromised. The regulators vary from entry to intermediate to advanced level. They are made of different technology but performance is important. Always purchase equipment which provides constant air supply and is resistant to contaminants. Scuba Diving undoubtedly is one of the most fascinating activities that open us to the underwater world. It is not possible unless we have the right kind of gears to help us dive in. It is not an easy task to find the right gear from the market because there are a number of products. However, this comprehensive list of review with buying guide is targeted towards helping you make the right purchase. 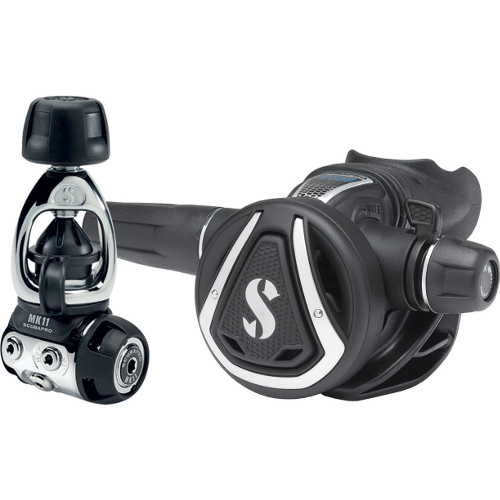 The best and suitable scuba regulator help you dive freely and make you comfortable underwater. It is important to choose a regulator that is high-performing, reliable and constructed strongly to help you perform and breathe better. Along with price, quality matters and this guide will hopefully help you make the right selection.